PhotoVogue è la piattaforma fotografica di Vogue.it curata dai Photo Editor di Vogue Italia: una vetrina dove mettere in mostra il proprio talento con la possibilità di partecipare a mostre e iniziative a livello internazionale e di essere rappresentati dall’agenzia newyorkese Art+Commerce, una delle più prestigiose al mondo. 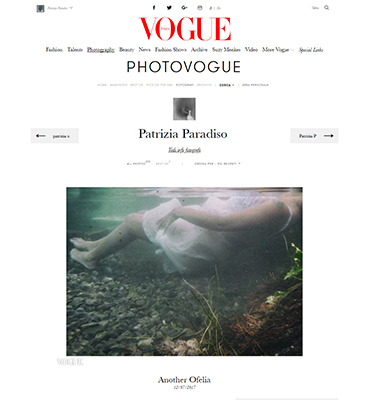 Art + Commerce, the agency representing many of today’s most successful photographers, has partnered with Vogue Italia to offer PhotoVogue contributing photographers the opportunity to be represented for licensing and syndication through the PhotoVogue Collection. 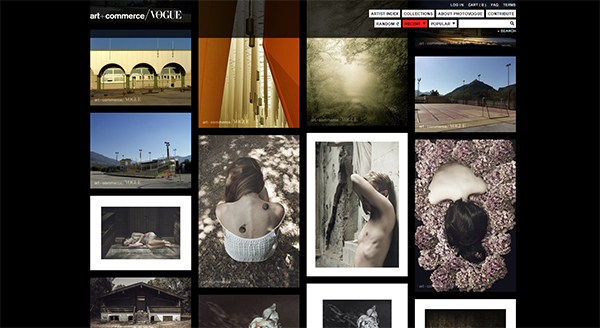 Vogue Italia, with whom Art + Commerce has a nearly 30 year history of collaboration, launched PhotoVogue in 2011 to create an online space to showcase the work of talented young photographers. Vogue Italia’s editorial staff have carefully curated the submissions, resulting in a dynamic and stunning selection of work that reflects the skill and artistry of the PhotoVogue photographers as well as Vogue Italia’s commitment to creative excellence. Expanding on this project, Art + Commerce presents the PhotoVogue Collection: a rights-managed image library administered by the Art + Commerce Image Archive, the agency’s licensing group. Each picture in the PhotoVogue Collection is available to purchase for editorial use and for internal presentations. The PhotoVogue Collection at Art + Commerce broadens the exposure and opportunities available to PhotoVogue photographers while providing creative professionals and photography enthusiasts a new resource to discover talent.